Come Learn About the Sport of Triathlon! Getting in shape and having fun! 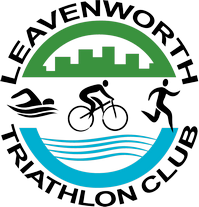 Our purpose: Promote the sport of triathlon in the local community. Encourage and coach beginner triathletes to complete their first triathlon. Assist in training more experienced triathletes to complete Olympic and IRONMAN distances races. We normally meet monthly at Grinders High Noon or Baan Thai Restaurant (midweek) from 6:00-7:30 PM. Club membership gets you discounts at a number of sports stores in the local area.